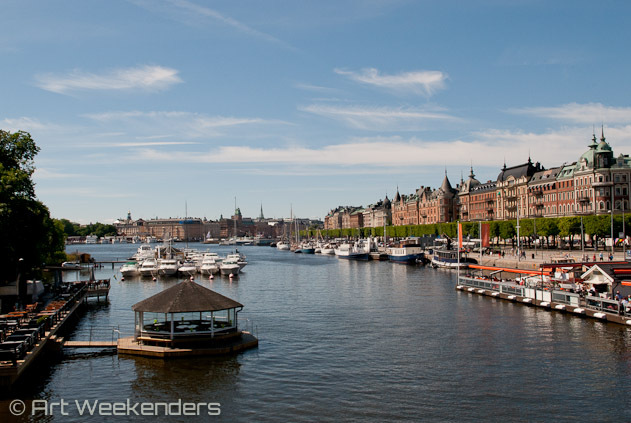 Don’t be surprised if you find yourself liking Stockholm quite a bit after your first visit. The city will do its best to impress you with its beauty and laid-back sophistication. If you’re the slightest interested in art, Stockholm will turn out to be your perfect host. Swedes in general are well travelled in the world of the arts, hence it’s not going to be any surprise that their capital will reflect their love for design and culture all over the city. In between Djurgarden and Ostermalm, Stockholm. 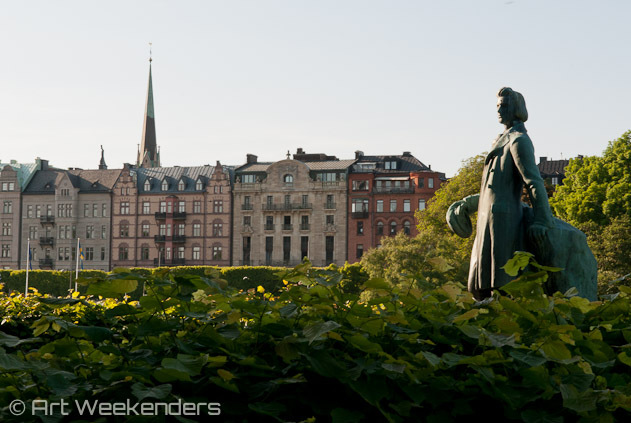 A few days in the Swedish capital will easily keep you constantly busy and when it’s time to leave, you will likely have a list of things you would still like to see, but didn’t have the time for. Here on Art Weekenders we’ll be advising you on some of the must-sees and other sights worth visiting, aiming to help you spending your art weekend optimally. Especially over the past couple of decades Stockholm had a serious offensive push while profiling itself as an exciting destination. While the city has always been beautiful, the transformation is not aesthetic, but mostly related to the general atmosphere, what feels like a wide-ranging strive to come across as a cosmopolitan hub. Keeping already a well-deserved place on the world map of attractive travel destinations, it still feels like there’s space for more visitors to come and experience something quite unique. The Swedish society of today is of a multicultural character where one in ten people have some kind of foreign background. Not only that, a considerable share of Swedes travel a lot and also spend a year of their studies outside the country, or often work abroad for a while. No surprise then, that in many ways the external cultural influences can easily be felt around the capital, not rarely impacted by the Anglo-Saxon world. Still, at the same time the city remains very “Swedish”. 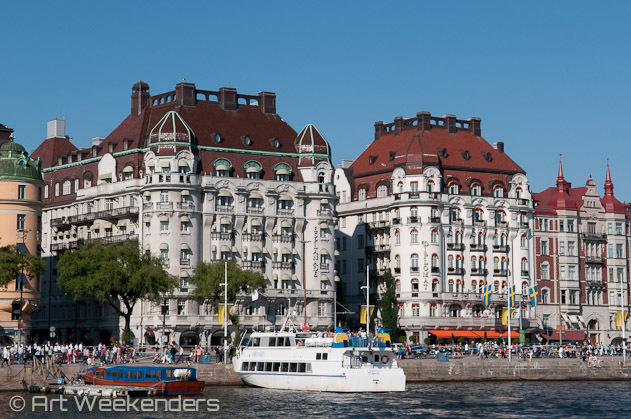 Stockholm is built upon fourteen islands in the inner part of the Stockholm archipelago, this waste, beautiful area made up of thousands of islands. You’ll be forgiven if you occasionally come under the impression that the whole city is a gigantic park. It’s a city to one third made up of parks and another third is occupied by the clean water of the Baltic Sea. It’s no coincidence hence that when the European Commission instated the European Green Capital of the year award, the Swedish metropole was the first ever winner, back in the year 2010. 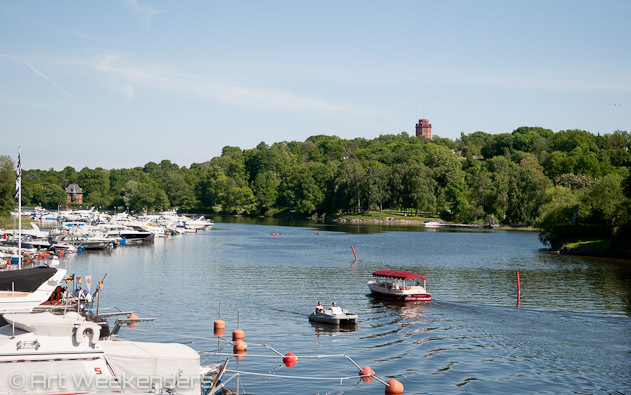 Stockholm, city of waters and parks. For an art weekender Stockholm is a compact city, making walking around in nice weather conditions a pleasure. It’s really not that many cities where you can walk for kilometres – or miles if you so prefer – without having to worry much about the traffic: here you can actually stroll for instance from the green island of Djurgården to the Moderna Museet (Museum of Modern Art) on the island of Skeppsholmen some three kilometres away, without crossing one single road. As an art lover, you are luckily not that weather dependent. If the weather is on the chillier side – and most of the year it will be – the public transportation system will efficiently and quickly take you wherever you’d like to go. There are surely cheaper transportation systems around in the world, but hey, you didn’t come to Stockholm for saving tips (but do not despair, it’s actually not that crazily expensive as the rumour has it). Once you figured out how to get around, it shouldn’t take much longer figuring out what to do, especially with our advise. As often, a stroll in town gives you a quick idea about the history and cultural aspects of a city, a judgment likely influenced by the architecture you’ll come across. By looking up towards the buildings during your walks it’s becoming apparent that the style of the centre is uniquely Swedish, which you might find contradictory, knowing most buildings have been built under foreign influences some centuries ago. 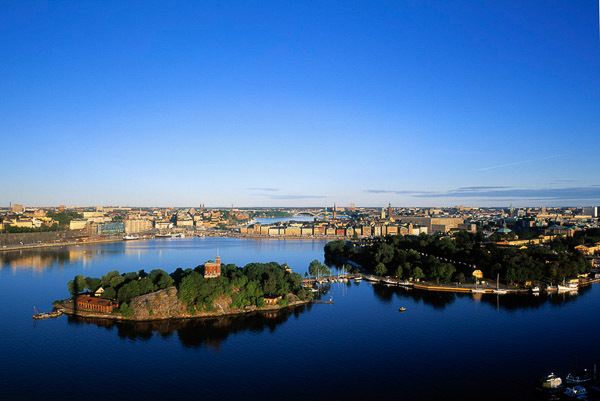 Where other cities have been destroyed and rebuilt in the wake of many wars, Stockholm has blissfully escaped any damage over the centuries. The architecture combined with the constant presence of the archipelago gives the city a welcoming and peaceful feel. The interior of the buildings are in general characterized by spaciousness, high ceilings are more the norm than the exception. This will be highly obvious when you visit any of the many museums. 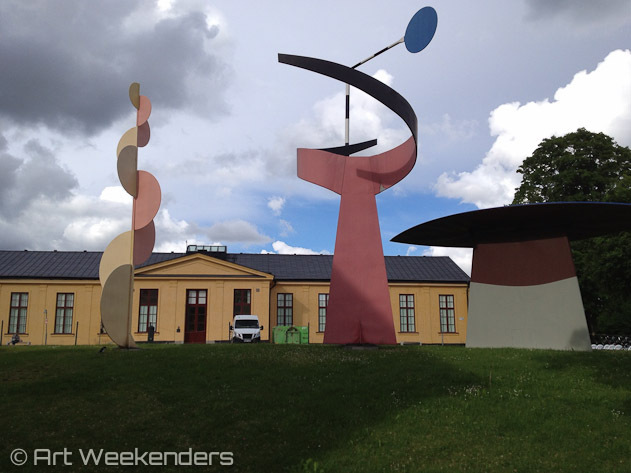 The love for art and design by the Swedes is reflected most by the diversity of the many museums Stockholm offers. The so-called ‘Stockholm Card‘ is currently granting access to some eighty of them, of which quite a few will likely attract your attention. Some of the more interesting ones we’ll soon feature on this site. 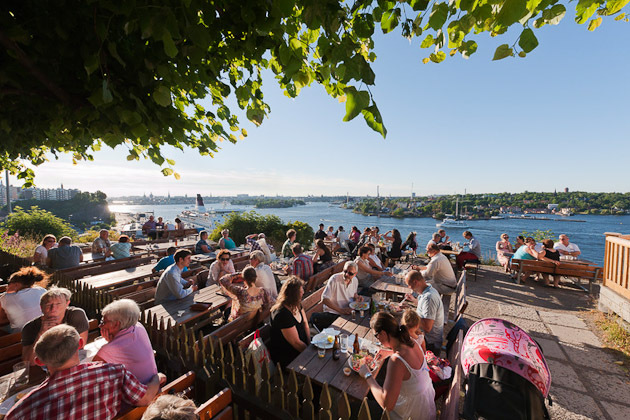 The Swedish capital is continuously evolving and is currently ranked as the sixth most livable city in the world. You as a visitor can, of course, only gain from this. This ‘lifestyle evolution’ in Stockholm expresses itself also with a continuous addition of new exciting venues. For us who like the arts a clear example for this is the fairly recently opened photography museum, Fotografiska, which just within three years since its opening made itself a world fame. And there is more to Art destination Stockholm. Come and join us, we’ll happily show you.